Below are photos of the evidence used against me in Federal Court. Some of my own photo's such as the Morro Bay Ribbon Cutting Ceremony and Testimony from my patients were not allowed during the trial. There is nothing fair about Federal Court. That is probably one reason they do not allow cameras to record Federal Trials. In count One I was convicted of narcotics conspiracy, in violation of 21 U.S.C. §§ 846, 841(a)(1), 856, and 859 (Count One). I was convicted of sending my Employee, Abe Baxter, to the Big 5 Sports Parking Lot in San Luis Obispo which is 15 miles from my Dispensary and telling him to sell Marijuana to under cover sheriff's deputies. I adimately deny this bogus charge. 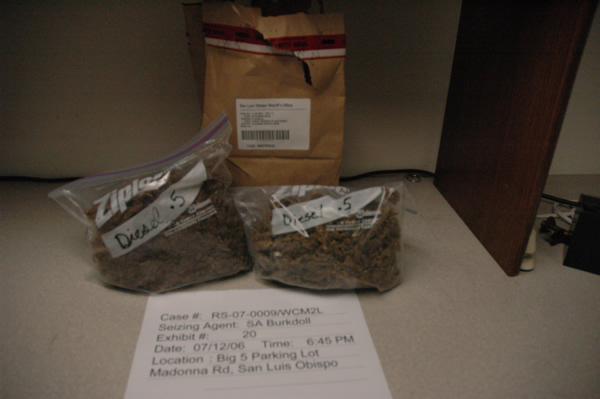 In the first photo is a picture of Diesel marijuana my Employee Abe Baxter was caught selling at the Big 5 Sporting parking lot on 7-12-06. In the second photo is a picture of Diesel I had in the shop and dated it as received 11-17-06. The Feds wrongfully proved that the marijuana Baxter sold on the street came from my dispensary using only these photos and the only true fact that Baxter worked for me. 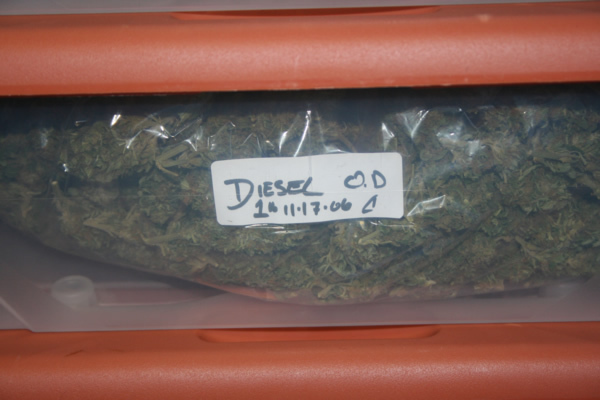 Feds also falsely claimed that since he was selling Diesel and since I had Diesel in the shop that I must have told Baxter to go sell marijuana on the street in a shopping center parking lot and these photos in the Feds mind prove it. Which of course I did not have any knowledge of his actions taking place on his own time 15 miles away from the Dispensary. 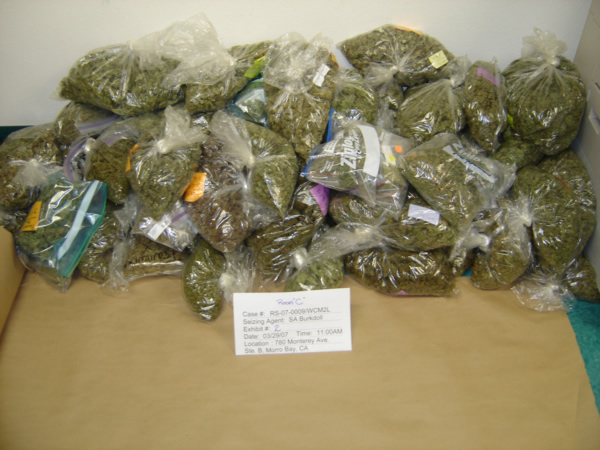 This second photo shows what I had at the Dispensary when it was raided in March 2007. If you look closely at the photos you can see that the strains, packaging and handwriting are completely different and if that is not enough then the date would be a pretty good indicator that they are different...can't see how this one got past the jury but this was enough to convict me of conspiracy to distribute marijuana which has a 5 year mandatory minimum sentence. Theoretically the Feds could have used any of the thousands of transactions that occurred at the dispensary to prosecute me under federal law but instead used this one I had nothing to do with. Just a part of thier propaganda smear campaign to be able to say I broke both state and federal laws. In retrospect I should have requested the two strains be scientifically compared to see if they we the same. But then again all of the marijuana had been 'destroyed' by the time I went to Trial. This is the charge the Feds are appealing. Judge Wu applied the 'safety valve' to me on this charge sentencing me to time served. The Feds on the other hand are using this charge in a Appeal against the one year sentence I recieved demanding the 5 year mandatory minimum be applied. Counts two and three aiding and abetting the sale of marijuana to minors, under the age of twenty-one, in violation of 21 U.S.C. §§ 841(a)(1), 859(a), and 18 U.S.C. § 2 (Counts Two and Three); So here we have 841(a(1) which is the same violation I was convicted of in Count 1 distribution of marijuana (but this time to a "minor" person under the age of 21; 859(a) is the distribution to minors under the age of 21 conviction; and the 18 U.S.C. § 2 conviction is saying I have committed a crime against the United States and am punisable as a principle. 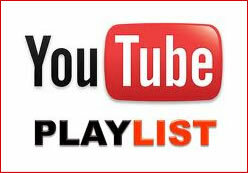 (shown), under the age of twenty-one. California state law allows any age access to medical cannabis with a Doctor's Recommendation. Also my business license from the City of Morro Bay CA stated '18 years or older unless accompanied by a parent'...but I found out the hard way in a Federal 'drug' case anybody under the age of 21 is considered a minor. 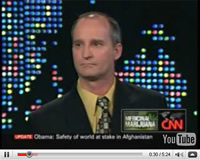 With Federal Power of Limiting Evidence in my favor, Federal Prosecutors blocked the testimony of cancer survivor Owen Beck whose story is highlighted in a Drew Carey online video documentary and who was a 17 year old member at our dispensary that came in with his parents. Instead Federal Prosecutors used this photo to show to the jury of the 'Minor' I had sold marijuana to. Meet Justin St. John, 20 years old at the time and he worked security at the dispensary and had a valid Doctors recommendation. He stopped showing up for work one day and never heard from him again only to see his picture used against me in Federal court. Of the 200+ members of our dispensary under the age of 21 why Federal Prosecutors chose Justin is beyond me. This is the Count that Judge Wu sentenced me to 1 year for. Judge Wu applied the 'safety valve' on all other counts against me which had mandatory minimums of up to at least 5 years, but he said his hands were tied and the safety valve does not apply on this count. This isn't counting up! This is the same Count used against me in Counts One, Two and Three and Five! I guess the difference here there was One a conspiracy, Two and Three a minor was involved and Count Five a premises was involved. Remember no State Law or Medical Marijuana testimony allowed. 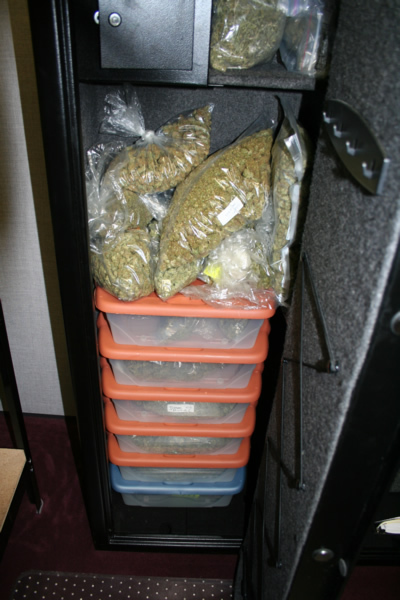 Here is a picture of what the dispensary had in stock when the feds raided, confiscated and 'destroyed' but forgot to weigh properly before destroying and prosecuting. My defense against this charge is that State Law allows it by the 10th Amendment to the Constitution ie States Rights and the City of Morro Bay licensed me to do it. It would seem logical that I would have to have possess marijuana in order to provide medical marijuana to qualified members of the community. But again Federal Law trumps any mention of my defense and the jury sees only a carefully staged pile of 'marijuana' which was found in my 'store'. To manufacture, distribute, or dispense, or possess with intent to manufacture, distribute, or dispense, a controlled substance, marijuana being the controlled substance in my case, is a Federal offense and trumps any State Laws that allow it. Yes that means you too CO, WA and twenty plus other states. I had a Medical Marijuana Dispensary Business License and a Conditional Use Nursery Permit issued by the City of Morro Bay CA. Anyhow the Feds 'ad nauseam', as Judge Wu noted, showed that... I distributed marijuana which contained real THC from my "marijuana store" as they called it. 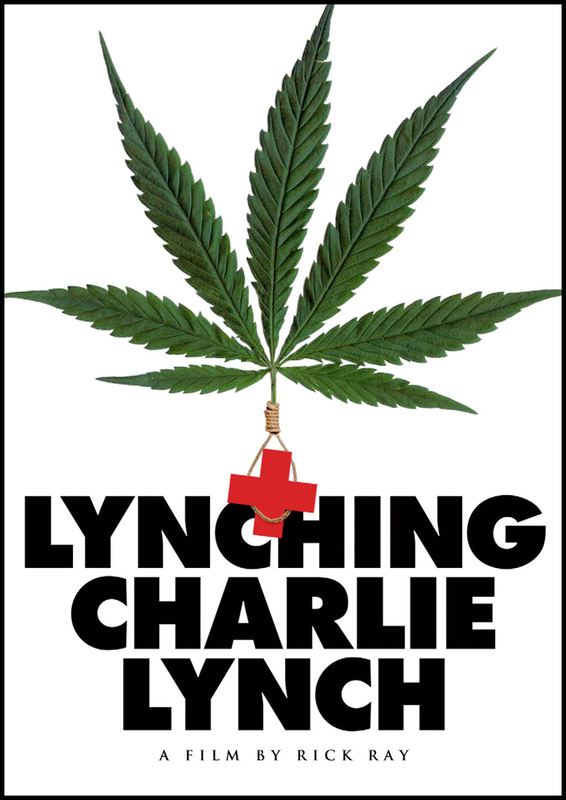 When I was on the witness stand I never denied providing to our members but when I mentioned California State Law, the Constitution 10th amendment, City Regulations, Medical Marijuana my testimony was stricken from the record and the jury's minds cleared of what I said.